Tavium® Plus VaporGrip® Technology, the market’s first premix residual dicamba herbicide, is now available for the 2019 growing season. 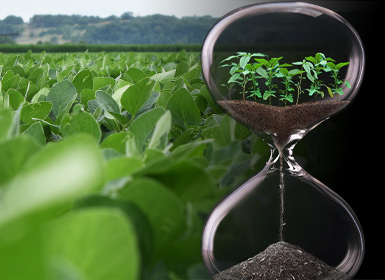 Time's up for tough weeds. A whole-farm management program that helps Syngenta customers maximize and sustain their return on investment. Every day, our planet wakes with more than 200,000 additional mouths to feed and more farmland lost to erosion. Many people who produce the world‘s food are living in poverty, while biodiversity is disappearing fast. We have a plan to meet these challenges: The Good Growth Plan. Its mission is to improve the sustainability of agriculture and our business through six commitments to be achieved by 2020. We help plants reach their full potential so our customers can reach theirs – in the laboratory, on the farm, across America and around the world.